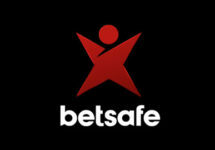 Betsafe – Daily Casino Boosts | Week 2! Get ready for the second week of the relaunched “Daily Boosts” campaign at Betsafe and enjoy super offers for extra Bonus Spins, Bonuses, Wager Rewards and Tournaments. Simply log-in daily into your casino account to find out what surprise is waiting next. Then claim it to boost your balance and use it to increase play time on your favorite games. Betsafe – Weekly Casino Goody Bag: Deposit from Monday to Thursday at Betsafe to be rewarded on Saturday with an awesome “Goody Bag” that can contain Bonus Spins, BIG Free Spins, Reload Bonuses, Safe Bets or Free Bets and will be credited at 00:01 CET every Saturday, valid until midnight on Sunday. The value of the rewards is based on the amount deposited and wagered in the casino throughout the week. Players from Poland are excluded from this promotion. 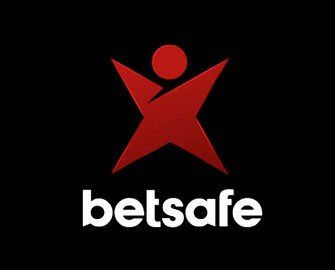 Wagering requirements with varying game weightings apply, subject to the Betsafe bonus terms and conditions. Thursday, 14th June 2018: Throwback Thursdays – Deposit minimum £/€ 20 and wager minimum £/€ 50 on Dead or Alive™ to instantly receive 25 Bonus Spins. WR is 35x FS winnings within 3 days. Friday, 15th June 2018: Reload Bonus – Deposit minimum £/€ 20 to receive a 50% deposit bonus, up to £/€ 15. Wagering requirement is 35x bonus within seven days. Saturday, 16th June 2018: Bonus Spin O’Clock – Deposit minimum £/€ 30 in a single amount to instantly receive 40 Bonus Spins on Fairytale Legends: Hansel and Gretel™. WR is 35x FS winnings within three days. Sunday, 17th June 2018: Bonus Spin Bonanza – Deposit min. £/€ 20 to instantly receive 20 Bonus Spins on Legacy of Egypt. Play the slot with any bet size and hit the bonus round once to receive another 20 Bonus Spins, credited by 19:00 CET on Monday. WR is 35x FS winnings within 3 days. Monday, 18th June 2018: Bonus Spins Galore – Make a deposit of minimum £/€ 20 and wager a total of £/€ 50 | £/€ 100 on Twin Spin Deluxe™ to instantly receive 25 | 50 Bonus Spins on the same game. Maximum reward is 75 Bonus Spins per player. WR is 35x FS winnings within seven days. Tuesday, 19th June 2018: Live Casino Bonus – Wager minimum £/€ 100 on Dream Catcher or Lightning Roulette to instantly receive a £/€ 10 bonus. WR is 35x bonus within seven days. Wednesday, 20th June 2018: Lucky Spin – Enjoy 1 Bonus Spin on Asgardian Stones™, no deposit needed. The TOP3 scoring the highest wins from the spin will be rewarded with cash prizes: 1st – £/€ 200 | 2nd – £/€ 100 | 3rd – £/€ 50, credited with no wagering requirement by 15:00 CET on Thursday.